When you connect your store with Mailchimp, you’ll discover more ways to achieve your marketing goals and grow your business. Our e-commerce tools help you find new audiences, promote your products, boost customer loyalty, and track your sales. In this article, you’ll learn what Mailchimp can do for your online store. After each explanation, you'll find links to reference articles and how-to guides so you can get started right away. Our e-commerce features are available to users who connect a supported e-commerce store or custom API 3.0 integration. To view the e-commerce features supported by an integration, visit the integration's listing in your account. Our e-commerce features are available to all users, and most of them are free. If you need to attract new customers, you’re in the right place. Mailchimp makes the most of your site traffic with pop-up forms, and helps you reach a new audience with online ads. These signup forms pop up on your website after a delay you set. They’re fully customizable to fit the look of your brand, and flexible enough to add important messages and promo codes. Mailchimp does more than just email. You can create Facebook, Instagram, and Google ads from your Mailchimp account at no extra cost. Set your ads to target specific contacts or go beyond your list to reach all-new audiences. 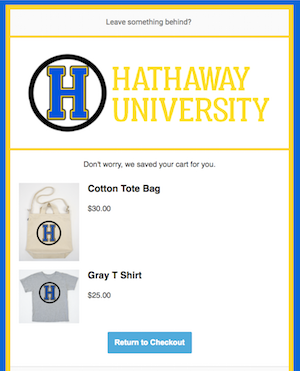 Mailchimp has lots of tools that help you sell more stuff. Use e-commerce data from your connected site to personalize your messages, so you recommend the right products to the right customers. Abandoned cart messages remind customers to finish a purchase they started in your store. These messages can be sent as a single email or as a series of reminders. Try adding a discount code for extra incentive. Use purchase history data to give your customers smart suggestions for their next purchase. Add product recommendations to any email, including abandoned cart messages and order notifications. The more data you have, the better it works: we recommend it for stores that have at least 10 products and processed at least 500 orders in the last year. Product retargeting sends a message about the last item a customer viewed on your site, so you can follow up with users who browsed your store but didn’t make a purchase. 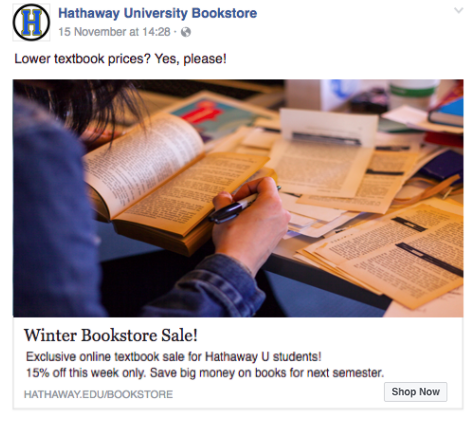 Product retargeting promotes best-sellers and new additions to your store. 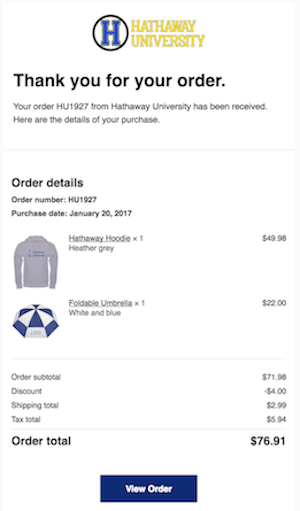 These emails are triggered by order activity in your store and give your customers important updates about their purchase. Customize receipts, invoices, shipping confirmations, and other messages to fit your style. Level up by adding product recommendations your customers will love. As you connect with more people and your business grows, Mailchimp can help keep your customers coming back. Create segments and send purchase-based automations to reach your target audiences, and use data and testing to find out what’s working. These emails respond to your customer’s purchase activity, automatically. Set up automations to follow up after purchases, recommend related products, or reward buyers with a discount. Automation communicates with your customers, so you can focus on other things. Segments are custom audiences based on purchases, demographics, and other shared data. Create your own, or choose one of our pre-built segments to quickly target first-time buyers, top customers, or people who haven’t made a purchase lately. A/B testing sends two different versions of the same campaign so you can see how small changes affect how much revenue your emails generate. With Mailchimp Pro’s Multivariate campaigns, you can test up to eight different versions of a single message. As you integrate more tools into your marketing plan, we’ll keep track of your return on investment (ROI), so you can figure out what’s working. You probably don’t have time to dig through the data, so we do it for you in your reports and dashboards. Mailchimp’s e-commerce reports detail your store’s purchase activity and order history. See which items your customers buy, and how much revenue each campaign has created. Then, use this data to create even more specific segments and more effective marketing. Each time you log in to Mailchimp, your dashboard gives you an an overview of your e-commerce performance. This includes account trends, revenue tracking, and audience engagement. We even include tips and feature suggestions to improve your marketing plan. Connect your Shopify, BigCommerce, Prestashop, Magento, WooCommerce, or custom API store to your Mailchimp account. Mailchimp helps you grow your e-commerce business and build relationships with customers. Get best practices for keeping an audience, targeted content, and more.